Intolerance to dissent is something we’ve seen happen pretty frequently in our country and it’s aggravated when someone is criticising the government. 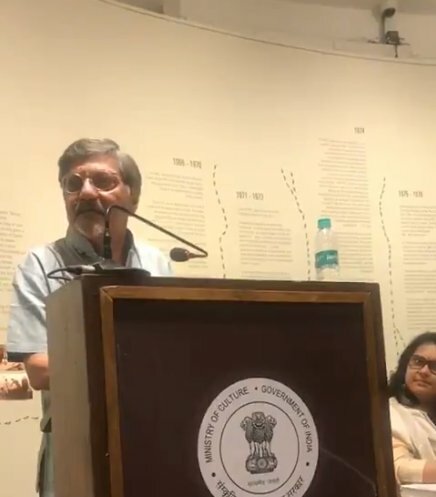 According to this video shared on Twitter, veteran actor and director Amol Palekar was repeatedly interrupted and eventually completely cut-off while giving a speech at the National Gallery of Modern Art after his statements and questions criticised the government. 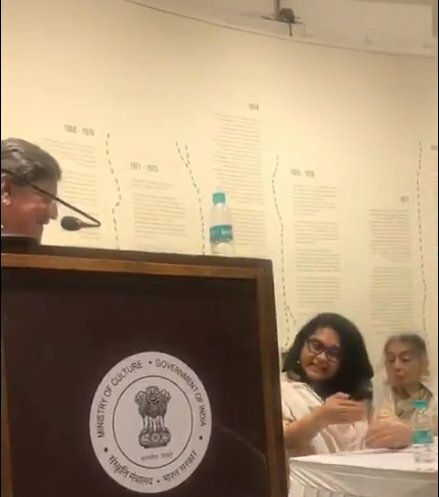 Palekar was invited to speak at the opening of an exhibition called ‘Inside The Empty Box’ in memory of artist Prabhakar Barwe. Soon after the event, a video of Palekar’s speech started doing the rounds on the internet. In the video, he is shown struggling to finish his speech because of being constantly interrupted by others. The actor-director’s main point of concern was that the Ministry of Culture has abolished all artistes’ advisory committees at the gallery’s Mumbai and Bengaluru centres. Before he could complete his thoughts on this, a gallery member on the stage interrupted him and told him to focus on the event. 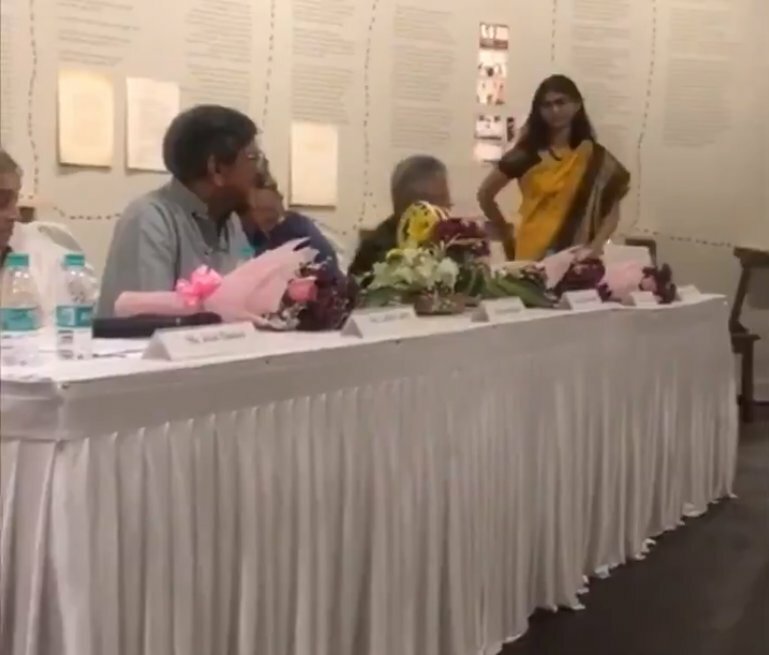 The video then showed him continuing his speech about how the decisions revolving around whose work should be exhibited will now come directly from Delhi from the Ministry of Culture. This caused another gallery member to interrupt him. 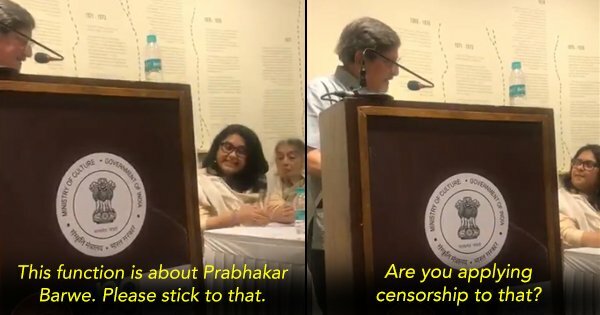 But Palekar did not lose his ground and continued, adding that writer Nayantara Singh was invited to speak at the Marathi Literary Convention but was uninvited at the last moment because she might comment against the government. At the end of the video, another woman tries to tell him off by mentioning that the National Gallery of Art is a government gallery and this is unacceptable. After the video surfaced on the internet, people have been furious about the behavior metted to a veteran artist and an active social worker, in addition to the inability of govt officials to take criticism. I have never seen such a intolerant government since my birth. Why this government so scared with every independent thinker? Utter shameful act.